Are Facebook’s Best Days Over or Ahead? With Facebook’s public offering over, its time to ask the question of whether Facebook’s best days are over or are there any other scenarios that could boost their earning potential and actually let them grow revenue. To date, they have mostly used ads and special partnerships to monetize their connections to 900 million people around the world and that has allowed them to earn serious money in the process. My friend Michael Miller wrote a great piece at PC Mag entitled “Facebook’s not so secret weapon-Infrastructure” and explains how Facebook’s servers are based on the Open Compute project for efficient data centers. At its core, Facebook has one of the best and most responsive data centers available that can be quickly customized and optimized for new products and services, which I consider a major asset and one that could be much more proactive in delivering new products and services in real time. We already know that Facebook is a place for making connections with friends and family and in a broader sense, lets us connect to companies, products and services as well. But I think there are at least three other major products and services they could offer that could extend their growth substantially and enhance their revenue potential. The first would be to follow an important trend in social networking called vertical networks, or linking people of like minds together and make it easier to connect with people vertically within Facebook. To a degree they have that now with Facebook groups but it is not designed to really target vertical markets. Our research is showing that there is a real demand for dedicated vertical social networks tied specifically to interests. For example, a social networking site truly optimized for pilots. Facebook does have a group called “Pilot Connect Social Network” within Facebook but it is poorly laid out and somewhat difficult to follow. But what if they really took aim at hundreds of like-minded subjects and created a very rich social network that is elegantly designed and easy to make connections. This would allow them to provide even more targeted ads, and because it would be part of Facebook as a whole, it could also cross reference any topic or ad that might be relevant to this audience such as hotels near small airports, etc. I love scuba diving and there are many sites about scuba diving, but no single social network around this subject that really appeals to me. But what if Facebook gave me dedicated scuba diving group or scuba network that is very rich in content and well designed that I really want to go to every day to see what’s new. I buy scuba diving magazines to read about diving resorts and get tips, but I also love the ads in there that are really aimed at me. This includes ads about new equipment, diving resorts, etc. At the moment, Facebook does not really provide a rich network for like minds and if done right, this could be a major growth opportunity for them. The second thing I think they could do that could really enhance their long-term growth is to become the social network for applications. Mark Zuckerberg has alluded to this but the basic idea would to become the social link between existing apps and multiple users. A good example of this is in multi-player games. Most games today are designed for single user play. But what if any game I have could be played with my friends across town or around the world. Or what if I have an app like a photo sharing app? If Facebook could be the social link between different photo apps, it could be used to do innovative things that blend images and video into a multi-app, multi-user environment. Or what if Facebook becomes the social networking glue between existing sites for diabetics? While they could create a richer internal Facebook network for diabetics, if they were also the social link between dozens of other diabetic sites, the content for the diabetic consumer becomes even richer. But the third area that they could mine is through extending their ad network beyond the walls of Facebook. 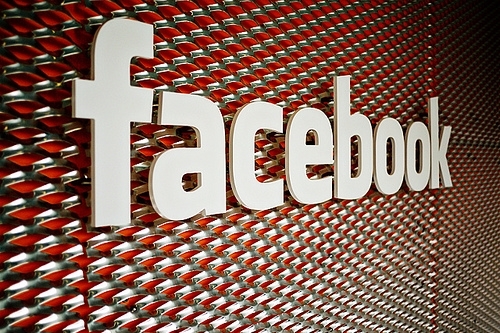 Facebook is building a detailed user profile of each Facebook user. One of the more interesting things Facebook could do is to extend that demographic profile to build an advertising network similar to Google AdSense. If they could partner with other top tier sites and extend their demographic database and targeted ad-matching network to other websites outside of the Facebook experience, they could seriously threaten Google’s dominance in this area. Google only knows what people are searching for whereas Facebook knows quite a bit about the searcher. The latter is much more valuable in matching the right ads with the right user and Facebook may be one of the only companies out there currently who can deliver this across the web. While Facebook already has a rich framework to use to continue to connect people together around their social network, it is clear to me that they still have a lot of room to grow and expand and monetize new services. I don’t believe that Facebook’s best days are over. Indeed, I think that they have climbed some pretty big mountains to get where they are today, but I suspect that they have even more mountains to climb and could use what they already have to build on and continue to grow the company significantly in the future. The key word for this growth will be to continue to innovate and execute and I believe if they do the things mentioned above, along with others I am sure they have in the works, the company could become even more powerful and profitable in the future.